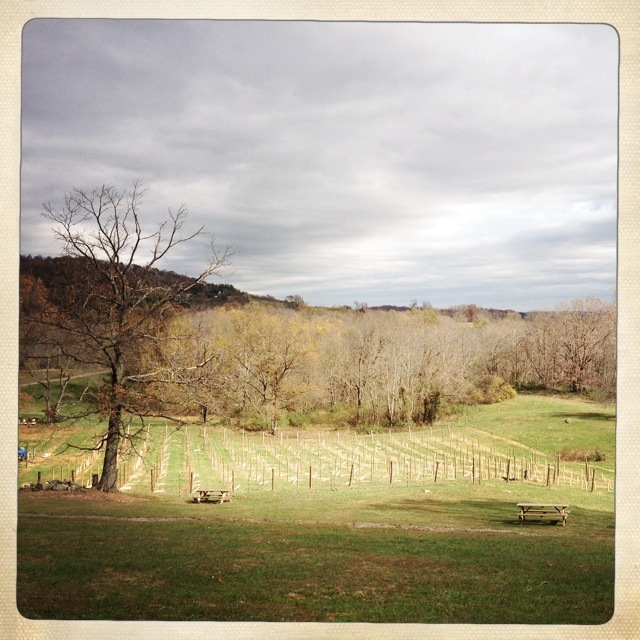 Last weekend I had an appointment to meet some fellow Virginia wine bloggers out at Berry Hill Vineyards in the afternoon (Berry Hill is by appointment only). Since I wanted to bring some fellow DC'ers with me to the vineyards I wasn't sure until the day before how early we could get out to the trail but mapped out some options of spots I hadn't yet visited. With Lori and her little dog Frankie in tow we wandered into the hills to Cobbler Mountain Cellars in Delaplane. If heading there you really have to pay attention to your GPS since it doesn't seem to have as many signs along the way as some of the other wineries do. The grapes were planted here in 2006 and the tasting room opened in 2011 so its still a newer winery. We were the first guests to arrive that morning and found that Cobbler Mountain is very pet friendly, they had two friendly dogs that greeted us and found a cat curled up on a couch inside. The tasting room was cozy and decorated for the fall holidays. I really hadn't heard anything about Cobbler Mountain so I had no idea what was in store for us. For $9 we worked through 9 wines; we did not try their Maple Reserves made from, you guessed it, maple syrups! We started the tasting with a Sparkling Hard Apple Cider where you could taste the Granny Smiths and Golden Delicious apples that were part of the blend. We really enjoyed this cider. We then tried the 2010 Cobblestone White a light, sweet white made from a blend of Riesling, Vidal Blanc, Seyval Blanc & Viognier. Up next was the 2011 Chardonnay Reserve with just a touch of oak on the palate. As a picky white drinker I thought the whites were fine, but the reds were really something! As one of 5 vineyards in Virginia that produces Malbec the 2011 was the first we tried; now I'm usually not a Malbec fan since they can be very dry, but this one was not at all, it had just the lightest hint of fruit at the finish. Next up was the 2010 Meritage a blend of 4 of the 5 Bordeaux grapes, absent is Merlot, this blend was surprisingly drier than the Malbec. The 2009 Cabernet Sauvignon was another great red, it was aged 24 months in French oak and a solid red would be great with a steak. The 2010 Petit Verdot was a really big red with a nose of clove & spice, also another great wine. We finished with the 2010 Cabernet Franc which we tasted with chocolate, it was a slightly softer Franc than I prefer, I really love the peppery ones, and this reminded me more of a Merlot, still a very good wine. We were so overwhelmed with good wine it took us a while to pick out what we wanted to sit down with and take home. We finally worked it out and headed outside to take in the views next to one of the few camp fires they had set up outside. Overall we were really pleased with Cobbler Mountain, it was a surprise to have one quality red after the next. Hillary even tried their wines and liked them so much she bought the entire line to serve at State dinners! 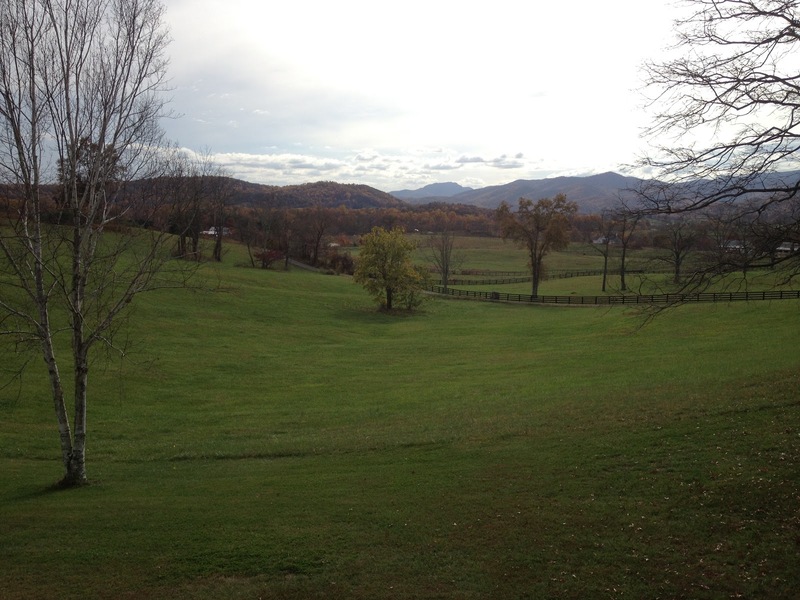 Virginia tends to get a bad rap for poor reds, but our day uncovered a couple good spots for reds. 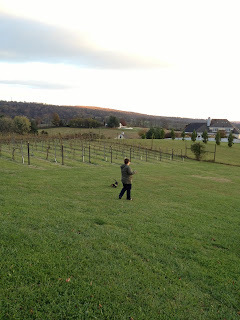 After Cobbler Mountain we were excited to meet up with Anthony of Virgnia Pour House, Kurt & Carol of Wine About Virginia, Fred of This is Wine, Erin of At the Lamppost as well as Jaymie, Allison, Kathy & Dan over at Berry Hill. As mentioned, Berry Hill is by appointment only as it is a micro winery that the owner Dave, started out by selling his grapes to near by vineyards like Narmada, Gray Ghost and Rappahannock then started making his own wine. He definitely takes care in making his Cabernet Franc and Petit Verdot. Here you will be able to try the wines and take some for the road, rather than sit down and stay awhile since it is a smaller operation. We sampled 3 wines with Dave, his 2011 Cabernet Franc that was blended with 15% Petit Verdot, at the time of tasting this wine had only been in the bottle for 3 weeks. The 2010 Cabernet Franc was next and Kurt was like a kid in a candy store waiting to try this one since he had barrel tasted it the year before. See his write up at Wine About Virginia for his thoughts on this quality wine. It was 14.9% alcohol, but you couldn't tell that at all after its 20 months in the barrel. Finally we sampled the 2011 Petit Verdot which was blended with 15% Cabernet Franc. It was a big, soft wine and as Dave said "85% of good wine is made in the vineyard," so he just tweaks that last 15%. 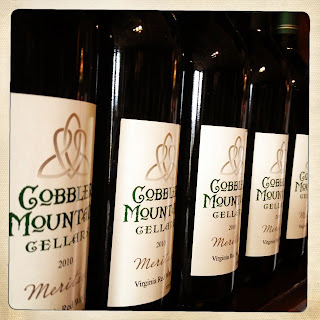 If you like red wines or know someone who likes reds and isn't sold on Virginia wines, Cobbler Mountain Cellars and Berry Hill Vineyards are a must! 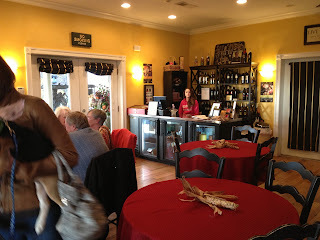 The service was great, the staff/owners are friendly and there really isn't anything bad you can say about the wines. 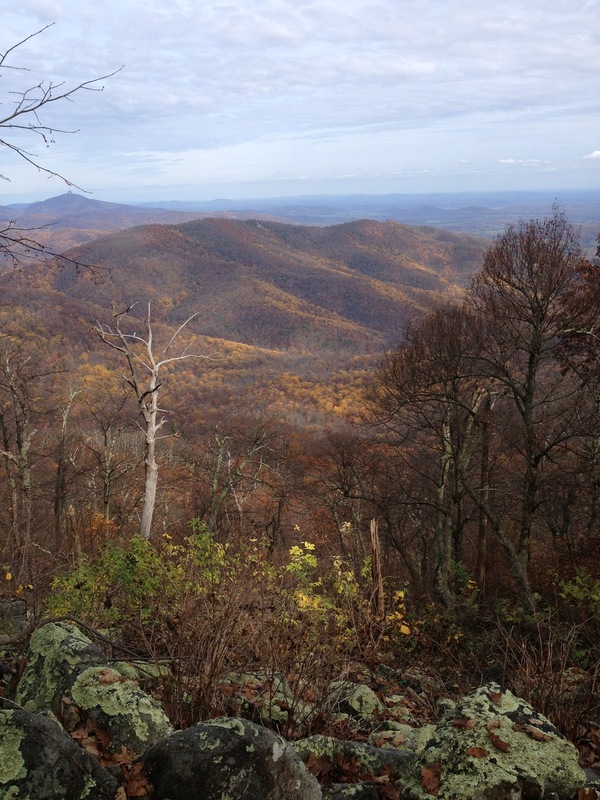 Last weekend a friend and I made it out to Shenandoah National Park for a quality hike before Sandy blew all of the pretty leaves down. 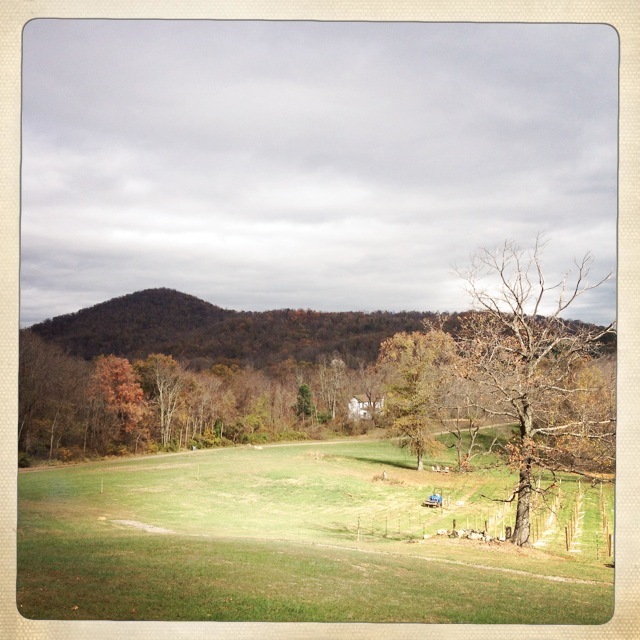 It was a gorgeous, crisp fall day, perfect for a rigorous hike. 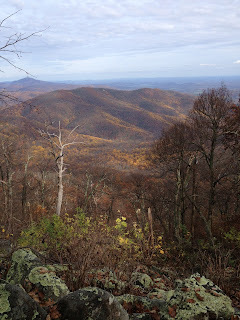 We went into to the park at Thorton Gap where 211 meets Skyline Drive. We got started early on an out and back trail, which was probably a good idea since on our way down we passed several more hikers than on our way up. By the time we finished we had plenty of time to hit the 2 wineries closest to the mountains, Little Washington Winery and Gadino Cellars. 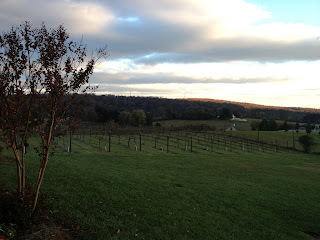 The Little Washington Winery had a very friendly & knowledgeable staff as well as a very inviting tasting room, but we were a little disappointed to find only two Virginia wines there. The were currently pouring their two Chardonnays one steel aged and the other oaked as well as several Spanish wines. It was interesting to try some international wines, but I prefer to try the local goods. 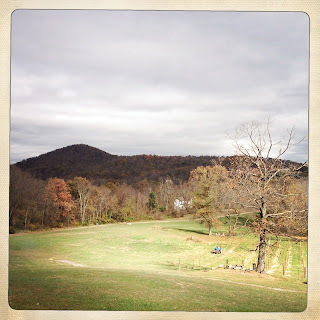 After checking out the view, which is quite nice we decided to head down the road to Gadino Cellars. 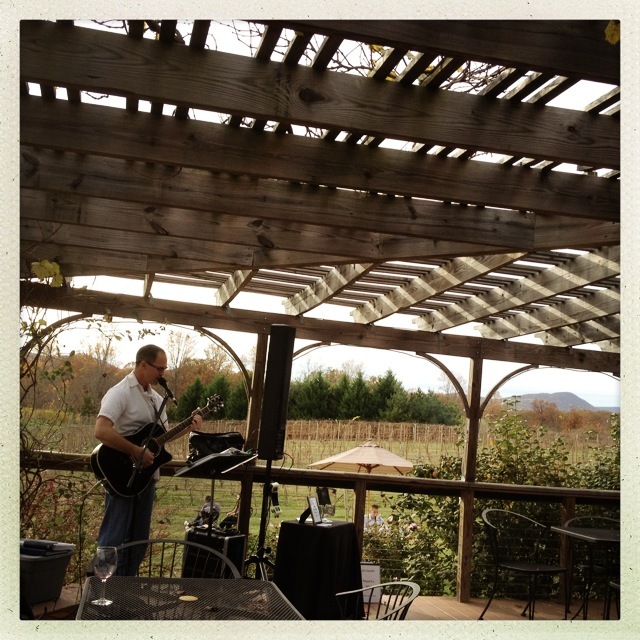 Gadino Cellars was the first Virginia winery I had ever been to and that was about 5 years ago so I was excited to see what it was like now. We found a bustling tasting room, but service was great. We were greeted and told it would be few minutes before we could start tasting so we checked out some of the local crafts, cork stoppers and other items in the tasting room before beginning. For $5 we tried 6 wines and got to keep our glass. There was a nice 2011 Viognier that had the lightest hint of tropical fruit, a 2011 Chardonnay aged in steel then oak was nice and mildly oaky, a 2011 Sunset was a sweeter white made from a Traminette & Seyval Blanc blend. Their rose, the 2011 Moonrise is made by blending a red (Nebbiolo, Cab Franc) and white (Petit Mensang) wine rather than letting the skins of a red sit on the wine for a few days, it was surprisingly good & very interesting. 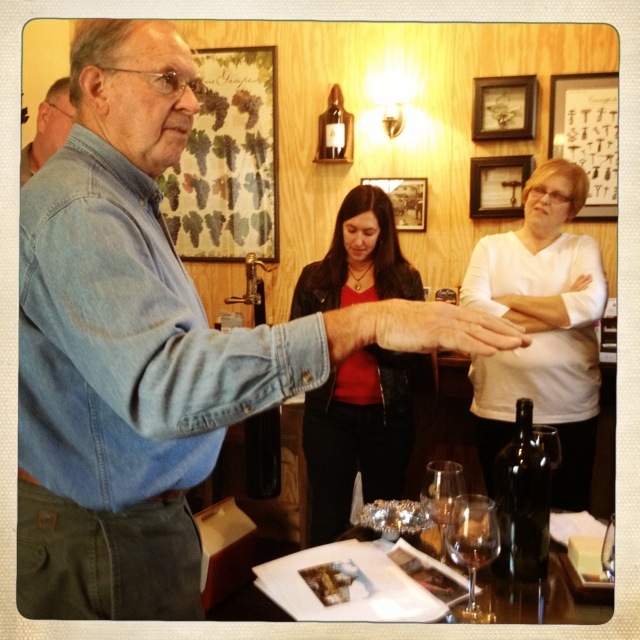 The 2010 Cabernet Franc Riserva won us over as our favorite! It came from 22 year old vines and the dark cherry flavors really came through. We also really enjoyed the 2010 Merlot which was blended with 8% Peiti Verdot and 9% Cab Franc for a drier red than the Franc, but still a big, smooth red. We decided to buy some bottles of the reds and then pick up a glass of the whites to sit on the porch and enjoy what was left of the daylight before our long drive back to the city. It was a nice revisit to Gadino and perfect spot if heading back from the trails!